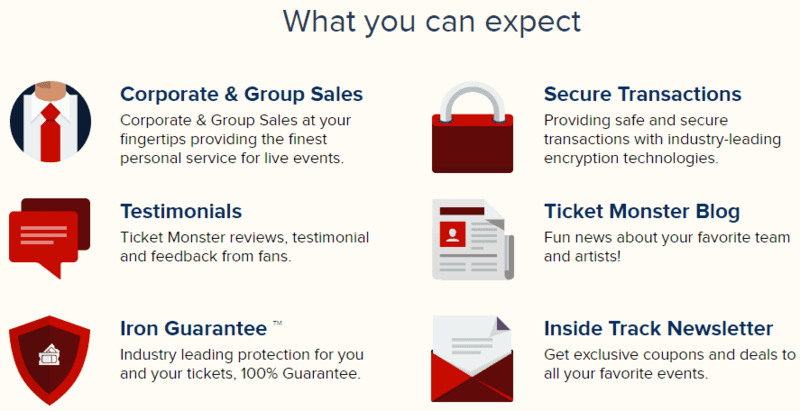 Ticket Monster Reviews (2019) | Is TicketMonster Legit Site? Is Ticket Monster Legit, Safe & Reliable Tickets? 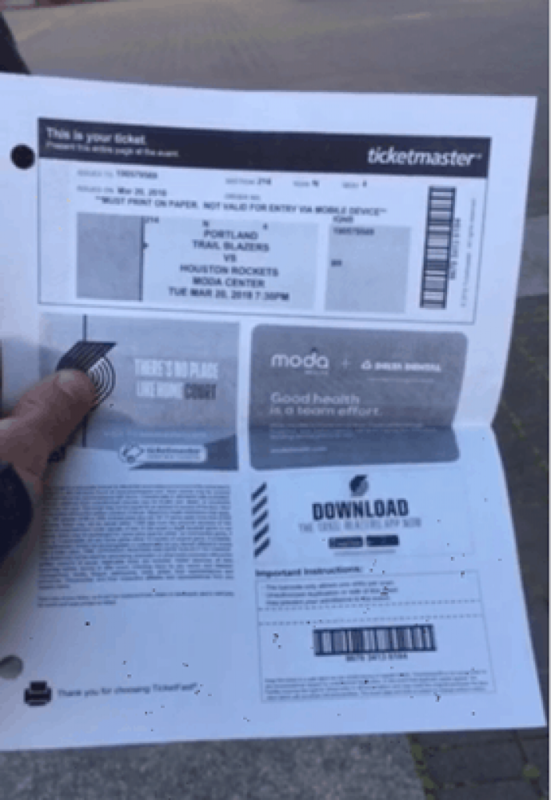 Our experience with TicketMonster.com (as shown below) was legit and reliable, but make sure you read our full Ticket Monster review to know the ins and outs and how to save. 1. We found 2 tickets (email delivery) the morning of the event and were $34 cheaper per ticket compared to the face value (according to TicketMaster where we were able to find how much they were sold for originally), so we placed our order. No problem, it’s just we need our tickets by the time we leave in about 6 hours. 3. 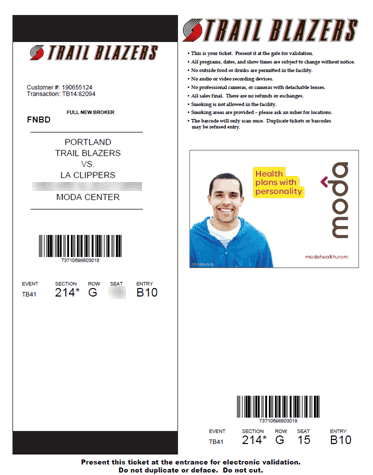 Within about 2 hours after our order, our tickets arrived attached via email. They were the exact 2 tickets we ordered in section 214 row H and our seats were side-by-side as guaranteed. We went into the event with no issues and enjoyed the game! Prices will likely drop as the event gets closer, so try waiting to buy 3 days or less before the event. Another good thing is Ticket Monster offers up 15% savings on your tickets after clicking on “Sign In” at TicketMonster.com to get rewards (as shown below). All sales are final, but you can call TicketMonster if you made a mistake and see what they can do for you. If you are traveling out of state we would recommend finding tickets delivered via e-ticket or print out to get them right away. Tickets are together (side-by-side) unless otherwise stated, so make sure to check any notes stated when ordering. 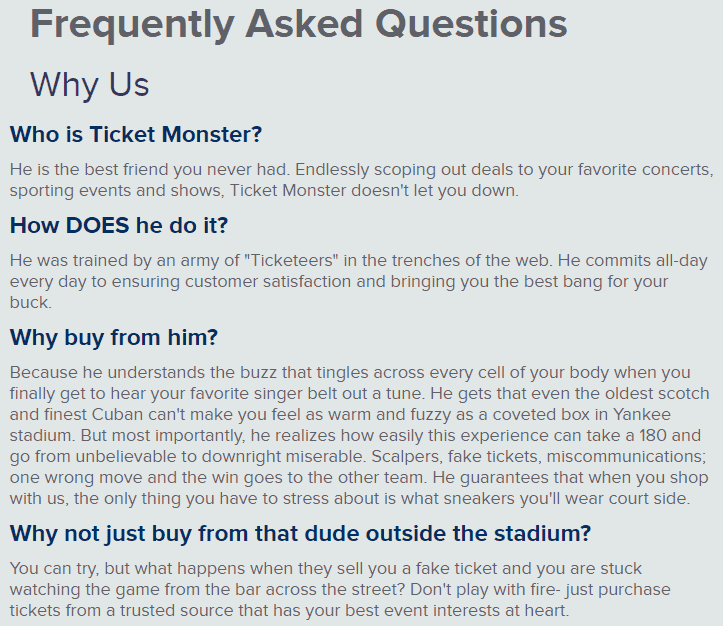 What is Ticket Monster and Are Tickets Real? TicketMonster, founded in 2012, offers an advantage with no hidden fees and free shipping on the secure checkout is a plus when comparing to most competitors. Most of their tickets listed on TicketMonster.com either come from pre-screened professional resellers. They do allow individual resellers that are unable to use their ticket to sell on their site too. Also, when reviewing TicketMonsterPerks.com it seems to give businesses and corporations access to discounted events. In order to sign up and get approved, you must be a corporation or employee of the company, and members only. You must also, get a Company Identifier code, which is provided by your employer. 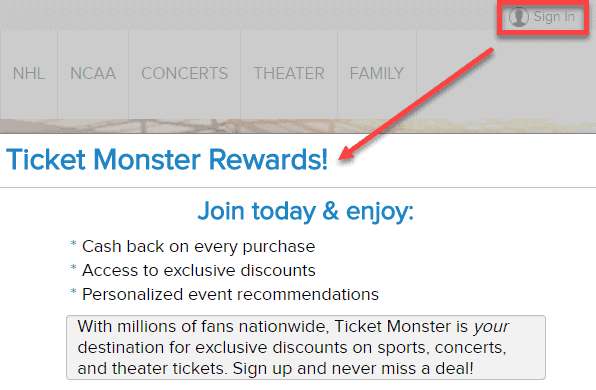 This you will find on the site TicketMonster.com as shown below, which gives you access to Ticket Monster rewards. Is There a Service or Any Hidden Fees? Other ticket sites can charge up to a 30% hidden fee once you’re on the checkout page. What's the Guarantee on my Tickets? What if my event gets canceled? Another thing we’ve seen happen is that if the event gets canceled and not rescheduled you will receive a full refund for your original ticket order. First, is all sales are final, but you can usually dispute issues and get a refund if you pay using a PayPal Prepaid Mastercard (dispute it with the card company PayPal Prepaid). I received the wrong tickets? 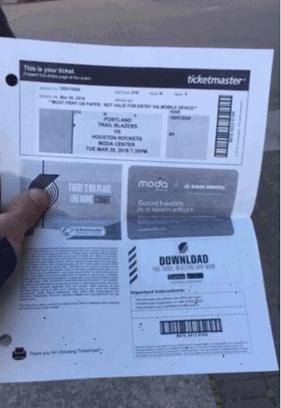 One thing we found with a few Ticket Monster reviews is the customer received the wrong tickets. if receive the wrong tickets call TicketMonster right away for replacement tickets or a full refund. Also, make sure you check out the Top 4 FAQ’s first prior to ordering your tickets just to make your experience will be legit knowing what you’re doing. 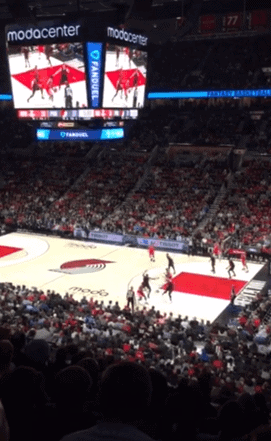 TicketMonster.com is a legit and reliable site that specializes in selling tickets to various concerts, theater shows, music festivals and professional and college sporting events. 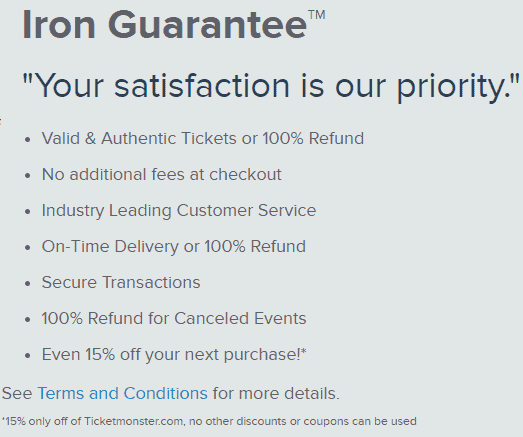 TicketMonster does provide you with a 100% iron guarantee on your order providing valid and authentic tickets on time with no additional or hidden fees at the checkout. After our experience with this Ticket Monster review, you could say they have made itself a name and a reputation for providing high-quality ticket service. Is Ticket Monster Legit & Safe? How’s Ticket Monster’s selection, prices, shipping, support, etc.? Is Ticket Monster a legit and good website? How’s Ticket Monsters customer service? 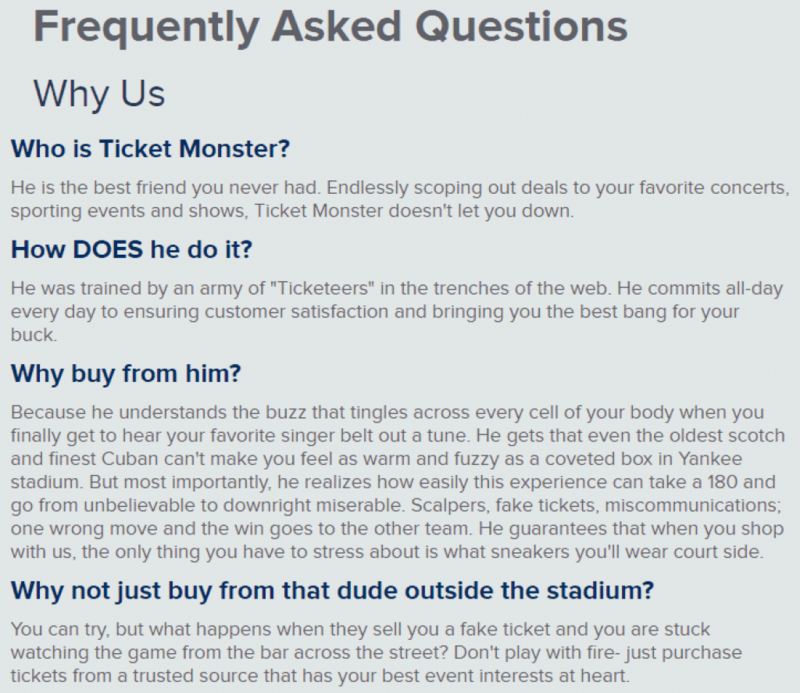 Is Ticket Monster a reliable and safe site today? It`s very wonderful service. I bought tickets twice in this service and I can say it`s really wonderful service I was very satisfied. We were planning a trip to Nashville and decided to get tickets to see a show at the Grand Ole Opry. We phoned “Ticker Monster” and got on line at the same time picked out date and seats with their online agent. She put us on hold while she CONFIRMED the seats, date and time when she returned to the call said everything was OK so we gave her credit card information. The agent explained we would receive a confirmation e-mail along with a copy of the invoice then the tickets would be e-mailed so we could down load. Note!! one line in their confirmation is a joke ” WE GUARANTEE YOU’LL GET YOUR TICKETS BEFORE THE EVENT”. 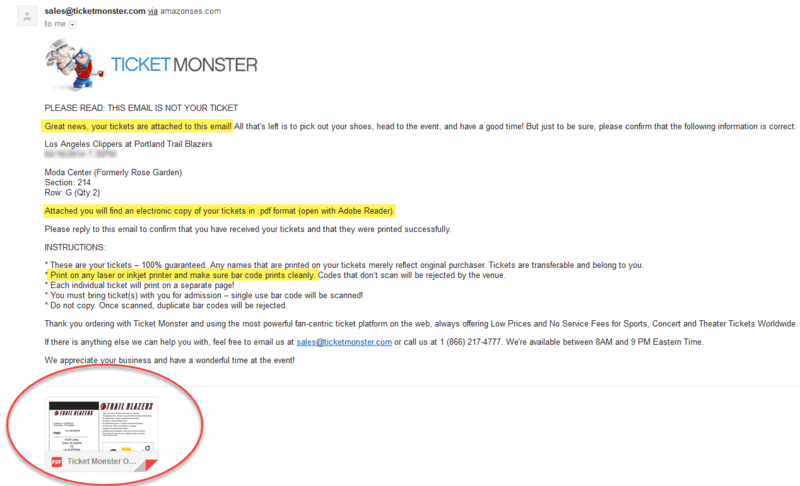 The next day we get an e-mail from Ticket Monster please call they need to talk to us regarding our tickets. A side note based on getting the confirmation we would get tickets we made Hotel Reservations, Dinner Reservations, and a couple of other reservations and made plans for our 120 mile drive to Nashville. 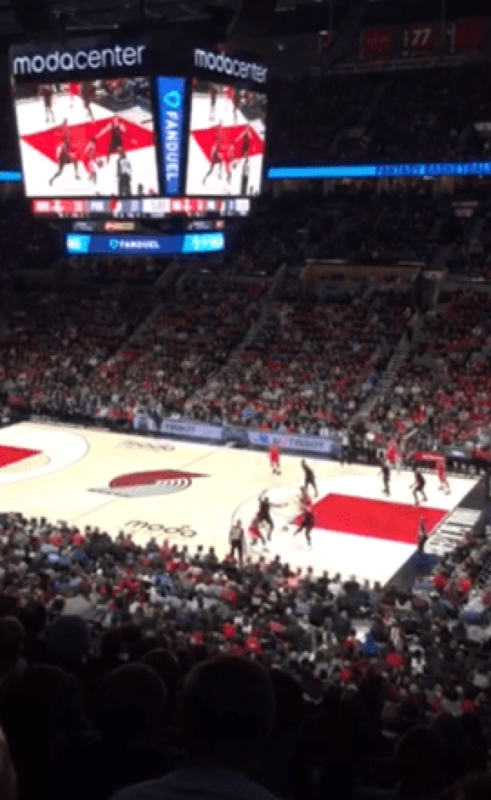 We phoned the next day and were told “THOSE SEATS WE PICKED OUT WERE NOT AVAILABLE” . They did not actually have the tickets so how could they guarantee we would get tickets before the event??? Ticket Monster did not actually have the tickets they were selling us they are a third or fourth party seller and could not really guarantee anything. After a lot of going back and forth regarding tickets they said they had with seats we rejected from the start we told them to issue credit, We were advised it would take 10 days to issue credit WHAT???? They charged out credit card with in minutes of giving them our information and wanted 10 days to return what they took in minutes. BEFORE YOU PURCHASE TICKETS FROM ANY ONE STRONGLY SUGGEST YOU MAKE SURE YOUR DEALING WITH TICKET HOLDERS NOT SECOND OR THIRD PARTY VENDORS. Worst tic experience in my 62 years! We ordered (and paid) for12 tickets in January for Zac Brown concert in August to celebrate our pastor’s birthday. We received 4 tickets, got charged $912.00 for all 12. Fearing a problem, we called 2 days before concert and told Mario and Jessica from TM since they cannot deliver all 12 tics we would like a refund of the four (kind of a lame party if the BD boy can’t go). Mario and Kayla both guaranteed full delivery of remaining tics- they have up until 1 hr before concert for delivery. We called back following day (day before concert) and talked to Jessica, requesting the same refund. She said not to worry the tickets will show up in the morning. They didn’t. We received an email after concert requesting we call– they had no info. Later I called Natalie, she indicated credit for 8 tics approved on Aug 6– 10 days ago–refund has not shown up in my Paypal account yet. Jessica mentioned it may be Paypal’s fault. While I consider that an uneducated comment, Jessica was super nice on the phone and said she understood my problem –she would appeal for a refund for all 12 tic and email us whether it was accepted or denied–she didn’t. All the personnel have been attentive and polite but not one of them has a $ to help with any problem. I admit, I took advantage of their policy that they cannot hang up on me –long moments of silence broken by their Q “Is there anything I can help you with?” I always answered, “Yes, I need a refund.” I logged 3 hours 40 min of phone time with them– not proud of it, just saying. I went to see Justin Timberlake live in concert and was so much fun! The prices for tickets were a bit, but neither ticketmaster or the venue had any left, so we didn’t have much choice at this point. It was worth it I thought! Next time I’ll just have to get tickets much sooner, like when they go on sale. Tickets were not hard to get on TicketMonster. Most of the time I’ll just use TicketMaster, but this concert sold out, in like a day I think, which is crazy. Somehow I came across this site TicketMonster.com, which I had heard about before. So far I have my tickets that came within 3 days of ordering from them, so no problems. Ordered tickets to watch the Cleveland Cavaliers vs Golden State Warriors! This might be the best, most talented, sporting match-up of the year, and the year is just getting started! 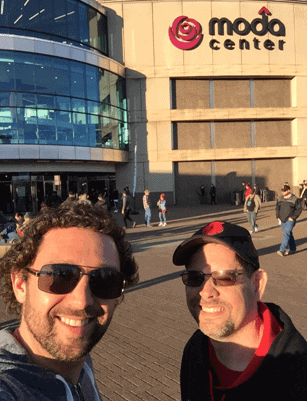 Anyways, the game was great, and the experience with Ticket Monster went just fine. I mean the tickets were not cheap, but no tickets were cheap this game anywhere! I’ll check their site again next time too! + PROS: Great game! Good experience overall! - CONS: Prices, but was a huge game, and I understand how supply and demand works. Is TicketMonster.com Legit & Safe? I ordered concert tickets and my experience was great! Price was lower than Ticketmaster, no fees, and I got my tickets right away! Ticket Monster is an impressive business with exceptional customer service! I’m so happy that I purchased my tickets with them! I was able to go through the entire process, from ordering to receiving, with ease. My tickets finally came in and they have the wrong name and order number printed on them. Should I be worried about them being fake? Did anyone else experience this? Hi Rachel! Thanks for your feedback. This is common with the resale market with another name then yours on the tickets, but it’s nothing to worry about. You should have no problem getting in your event as they will just scan it and not verify the name. our tickets came on time as promised. the only thing is the price was five times the face value. that was my fault for not researching further sites.